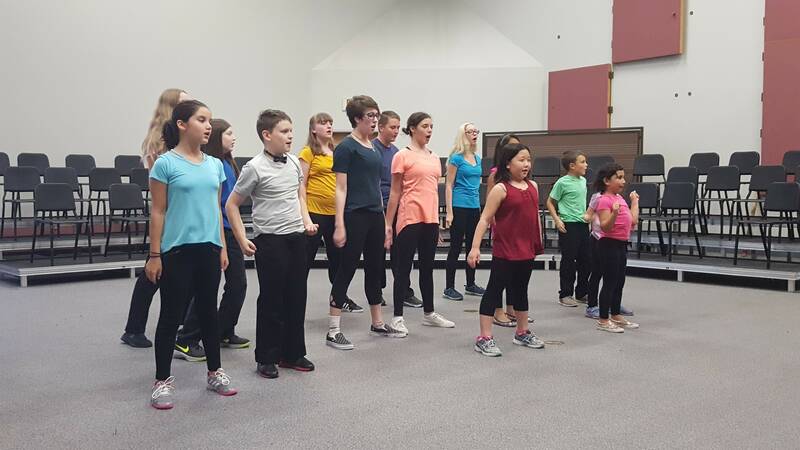 Imagine offers a periodic Intro to Acting Class, as well as a bustling summer Drama Camp! Fill out the inquiry form if you are interested, and check often on our Camps page for more info! Hannah Eppling has been in love with the theatre ever since her first performance at the age of eight. With a background in acting and improvisation, she is excited to share her passion for the arts with her students at Imagine. Originally from Texas, Hannah and her husband, Stephen, moved to Norman from North Carolina this summer. Her teaching experience included Assistant Directing for St. David’s School (Raleigh, NC), Theatre Quest camps at Playmakers Repertory Company’s Summer Youth Program (Chapel Hill, NC), Duke School (Durham), teaching special needs theatre classes for Raleigh Little Theatre and volunteering with the Jesters inclusive theatre program in Dallas, TX. She’s worked with kids of all ages, and believes in the art of theatre to help foster imagination, communication and self-confidence in the hearts of each and every individual! Leah Mockenhaupt moved to Norman in June 2016 from Minnesota where she spent her time immersed in the worlds of music AND theatre! She graduated in May of 2016 from the University of Wisconsin-Eau Claire with Bachelor degrees in K-12 theatre education and K-12 choral/general music education. During the school day, Leah teaches 6-8 Speech/Drama at Alcott Middle School! You may see (or hear) her around town singing in church choir, directing a show, playing her ukulele, or hanging out with her husband, Daniel Mockenhaupt, who teaches piano at Imagine! She can’t wait to meet the creative students of Imagine and make great performance memories!